Move in day for me was this past Sunday and it turned out to be quite the undertaking. I am a planner by nature and of course had been envisioning how my apartment bedroom would look all summer so I was very excited about finally moving in but also a bit nervous about if things would turn out as well in real life as they had in my head! Thankfully, my mom came to help me and although I was kind of stressed throughout some of the day overall she helped to make it look wonderful. This did however, take some preparation is advance as I insisted wanted to make a headboard this year as I had in past years. 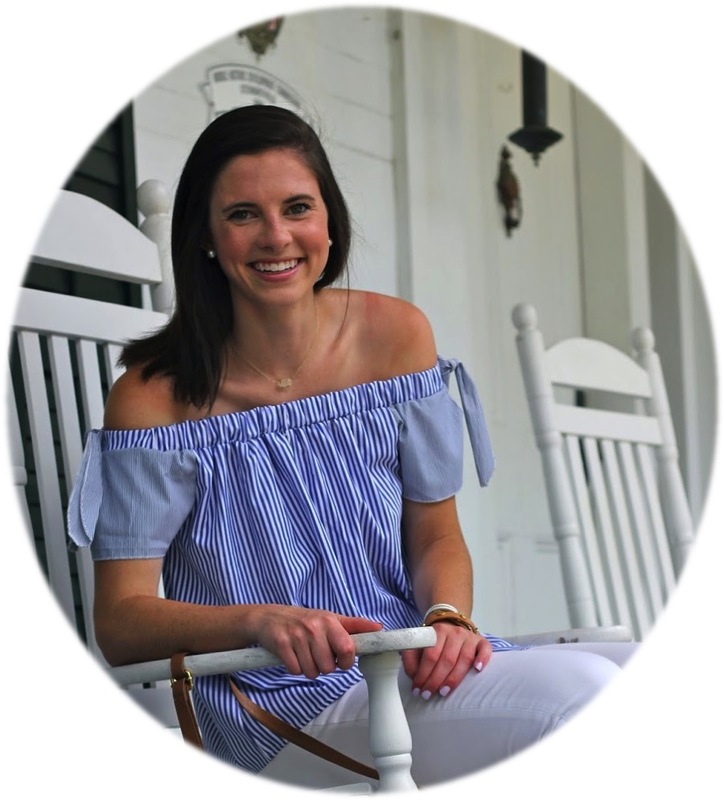 (If you haven't seen photos from my freshman and sophomore years of college then you may not remember the original DIY headboard post but be sure to check all of those posts out to see what I am talking about!) Fortunately my mom is pretty handy when it comes to assisting me with those sorts of projects so I gathered some supplies and we completed my headboard for my bedroom. The fabric I chose for my headboard is what inspired the entire color scheme for my bedroom and I am loving the way my room is turning out so far. I will definitely be sharing the finished result with y'all but it may be in a few weeks since there is still a little bit of decorating left to do. I think the headboard really adds a nice touch and pulls the whole room together while making it extra homey! Making a headboard (at least the past 2 times I've done it) hasn't been too difficult and would be an awesome addition to any bedroom not just a dorm or apartment! Here are the details about how we went about making mine this year for my full size bed! - Luan Board (this should be cut depending on bed size but for my full size I went with 56 inches wide by 40 inches tall). I purchased it at Lowes and they were able to cut it to the proper dimensions for me. - Foam, we always use a foam mattress topper. - Thinner foam mattress topper, Walmart has great options for this! Batting also works great for this step. - Circle Saw or Jig Saw if you're looking to cut your headboard into a different shape. 1. Gather all of your supplies. We did this the day before we started the project because we had some hiccups trying to get the wood. Some of the best advice I can give you is to get your wood from Lowes because they can cut it for you (many smaller hardware stores are not allowed to cut it for you). Lauan wood is sold for about $10 in an 4 X 8 sheet. We had the friendly man helping us at Lowes cut my sheet to the exact dimensions I wanted (56'' x 40'') which is so much easier than cutting it yourself. If you do choose to cut yours into a different size or shape be sure to sand the edges so they aren't so rough and won't snag your fabric! I chose to go with a square because of the fabric I was using to cover it and it's definitely the easiest shape to work with. 2. Instead of searching for foam an getting it cut from a fabric store my mom and I used a twin foam mattress pad ($10-$15) and pieced the foam so that it would fit the headboard size. Next, we took the headboard outside and used spray adhesive (follow directions on can) to attach the foam to the wood. After that we used another foam mattress pad (much thinner) over the entire headboard to soften up the edges and ensure that the foam would stay in place. We staple gunned that foam around to the back side and pulled tight as we worked around the headboard. 3. Next you will want to iron out your fabric and then cut it so that you have room to fold it up along the back side and staple it but be sure not to leave too much excess because that can make it hard to manage. I made the mistake of not making sure that my fabric was wide enough so this was a slight set back but resulted in an even better looking headboard. So since it wasn't wide enough we took some of the solid fabric we were using for my bed skirt and covered the headboard in that and then centered the patterned fabric leaving a slight border on the sides of the other fabric. 4. Finally, begin stapling the fabric to the headboard. We folded the corners like presents and it kept the fabric very tight however when you are doing the final side of our headboard be sure to pull the fabric pretty tight so that you don't leave any parts gaping! This is my finished result in my new room! You now have the perfect headboard and it cost you less than $30! I am not sure exactly how much fabric we ended up using but I believe it was around 2 yards for the full size headboard. 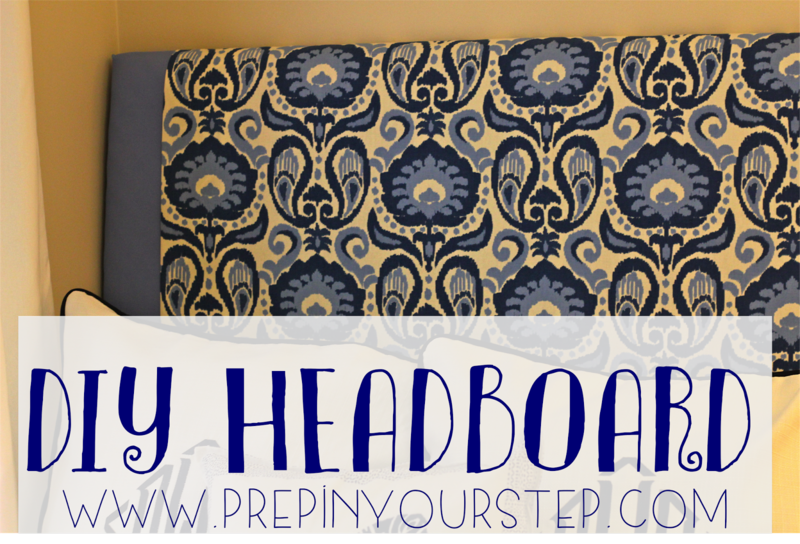 Your headboard looks amazing! I am definitely saving this for my future dorm room, I love the look of headboards. Do you hang yours on the wall or just in front of the bed frame? Can't wait to see the rest of your room! This is so cute! I am definitely making a headboard next year! Where did you get the fabric to make the headboard? !